and Mississippi, I hereby issue this order. a. 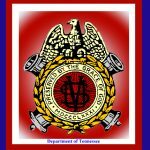 The Corporal William H. Bell Membership Award recognizes that Camp within the Department of Tennessee that initiates the most new Brothers during the twelve (12) months preceding the Department Encampment. b. Private Henry Hoover Membership Award recognizes that Camp within the Department of Tennessee that demonstrates the largest percentage of growth during the twelve (12) months preceding the Department Encampment. recipients of said award shall be submitted, along with a one-page description of the contribution made, to the Department Secretary no later than two (2) months prior to the annual Department Encampment, that is no later than December 14, 2018. Recommendations may be made via electronic mail to the Secretary with a copy to each member of panel. The panel shall award no more than three certificates as so charged. d. As Commander, I will accept recommendations for the Doctor Mary Edwards Walker Award from Past Camp Commanders and Past Department Commanders. This award recognizes a female member of one of the Allied Orders in recognition of and appreciation for her outstanding service to the SUVCW. Recommendations may be made via electronic mail and, again, no recommendations will be submitted no later than December 14, 2018.
e. With the input from the current Camp Commanders and Department Officers, I will accept nominations for four more awards: Most Outstanding Camp, Most Outstanding Brother, Most Outstanding Newsletter and Most Outstanding Web Presence. Recommendations may be made via electronic mail and, once more, no recommendations will be submitted no later than December 14, 2018.